The majority of the funding for Missouri scholarships and Grants is through the Missouri Department of Higher Education, or MDHE. They provide services to colleges and universities. The organization’s primary goal is education and making sure that students have the means and support to succeed. They also regulate, address, and set policies that pertain to education. Students majoring in Education are eligible for the Missouri Minority Teaching Scholarship Program. They have requirements to meet in order to be applicable. The student must maintain the application requirements and academic excellence to remain eligible for renewal. 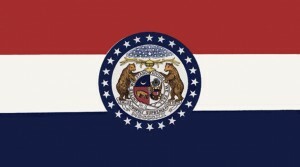 Download an application from the Missouri Department of Higher Education website. This is a program for high school students with test scores in the top 3% of the ACT or SAT exams. Students may be eligible for up to $2000. There is no application to fill out for this program. Acceptance is contingent on your ACT or SAT scores. When the student takes the ACT or SAT exams, scores are submitted to the Missouri Department of Higher Education. The process usually takes about six to eight weeks to complete. After assessment, eligible students will receive an approval letter through the mail in the spring of their senior year of high school. Students must complete an application called the Free Application for Federal Student Aid or FAFSA. This application can be completed online, mailed to you, or picked up at the financial aid office of your school. The FAFSA is located online. An application for the scholarship is at the school’s financial aid department. This is an award given by the state, federal, or any philanthropic organization. This scholarship is based on financial need and is determined by completing a FAFSA. The EFC, Expected Family Contribution, will determine the amount awarded to the student. The scholarship amount will also depend on what type of institution the student attends. Application for this award is through FAFSA only and is automatically sent to the MDHE if eligible. The school will then give the final approval and certify the student’s eligibility. After school approval, the MDHE will disburse funds. For the last fourteen years, the Missouri Gaming Board has set up a scholarship contest for high school students. This contest involves students making articles, posters, and videos in hopes of educating young people about the damage underage gambling can do to their lives. Project 21 will award two winners of the contest $1,500 and four others $1,000 for making the best projects. Projects must be on display or viewed between January 1 and February 28 of each year. Articles published in the one of the student’s school newspapers, magazines, or publications. You will submit two copies of the published articles to the contest. Posters displayed for one full week and a written essay addressing underage gambling. A signed letter from the administrator, stating that the poster was displayed in the school. Other classmates should view a video, between one to five minutes long. A letter written and signed by the administrator submitted with the video. Submit projects and application by March 5. High school students can apply for this scholarship. This program awards $1,500 per qualified student. It is important to know that you must file a Statement of Selective Service Registration with your college. This scholarship has to be renewed every school year. Call your state education agency for the application. The application must have an essay, three recommendations, and all transcripts submitted with it. It is mandatory that the test scores and class rank be highlighted from the seventh semester transcript. Please be advised that you must work in an elementary or secondary public school for five years after graduation or a $1,000 of the scholarship has to be repaid. For the application, go to the website located here. Click on the link for the application underneath the application memo. This is a scholarship for the children of injured or deceased workers who had a work-related accident covered by workers’ compensation. You will need a FAFSA and EFC of $12,000 or less to receive this award. This is a scholarship for those pursuing teaching and education. The reward is contingent on University of Missouri’s annual rate, which means the award will vary from year to year. The Urban Flight and Rural Needs Scholarship will require a commitment of teaching at-risk students at a Missouri public school for a period of eight years. Failure to complete your obligation or finish school will result in repayment of the scholarship. The application is available at your high school or prospective school’s financial aid office. You will need a copy of all your transcripts to submit with the application. The Pell Grant and Federal Supplemental Educational Opportunity Grant are federal funds and do not need to be repaid. Awards vary each school year. For example, the award for 2009-2010 is $5,350. The application can be located online or you can request it via mail. After it is completed, students select a private PIN, Personal Identifier Number. After completing the application, a Student Aid Report or SAR is produced. It is either emailed or mailed to you. A report that does not require corrections will contain an EFC. This will help determine the amount of the award. The report is automatically sent to your school of choice. A supplemental federal grant that does not need to repaid. Students already receiving Pell Grants are top priority. Award amounts are between $100 and $4,000. Your school must participate in this program in order to receive it. A new federal grant that started in 2006 for students taking programs considered very difficult. The criteria and requirements are strict. For programs that have approval for this grant, go to the website located here. This program, also known as the National Smart Grant, provides up to $4,000 for undergraduates. Visit the website for more information and a list of programs accepted by this grant. This program provides funding for injured or permanently disabled public safety officers. It also assists family members if a public safety officer is killed in the line of duty. I am attending saint louis university and interested in the FBI. I am looking to find grants i can use to help afford my college. I am hispanic of mexican decent and my great grandmother was apache indian and greatgrandfather mexican. My name is Kaleigh Kelso and I am interested in staying in state for college after I graduate this May to study childrens psychology and elementary education. I have a passion for helping children. I work multiple jobs and study very hard. I would love a scholarship for college because I will be able to give back to the Missouri community as a whole. I am wanting to apply for student loans for college this fall. I don’t have a job and need to pay for my books, residence. please let me know where to apply or who can help me with this.